Too soon the call the end of the Desktop or Notebook PC but the writing is on the wall. I will not trade away my PCs for an S8. It is not ready for prime time yet but I am sure it will get there. What is most important for me in a smartphone is the camera. 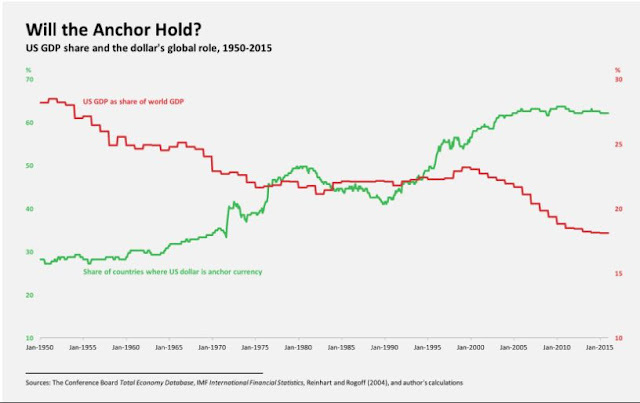 Up until the Great Financial Crisis caused by the Americans or a few years before, the business of nations was business. Post crisis, it was trying to stay above the floodwater and getting back to business. Then politics quietly asserted itself and became clear with Brexit and Trump's election. Race and culture has supplanted business. Identity and preserving one's way of life, real or imagined as the Americans fantasied is the trend now. 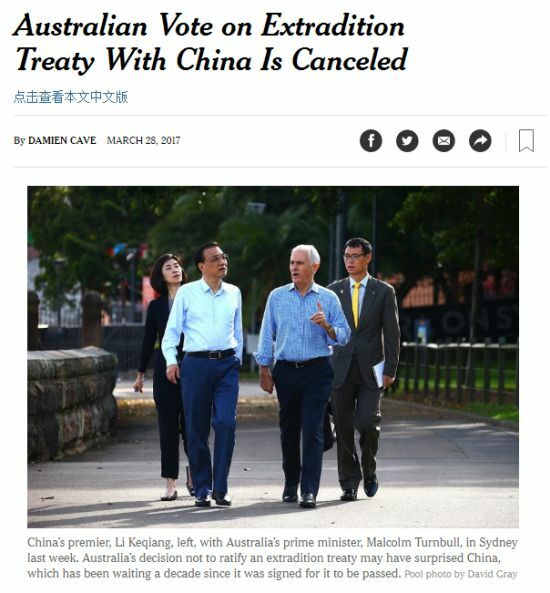 China is Australia's most important trading partner but the Aussies are telling the Chinese thank you for your business but we are more different than the same. Most of us here are Chinese Singaporeans and we are more Singaporean than Chinese too especially if your language at home is Mandarin. I get an email every day about some good ebooks going for a steal. This is one of them which I no longer or perhaps never needed. On the other hand I could think of many friend who would have benefited but I guess it has come many years too late. More importantly I don't think it wold have made a difference. Their lives are rules mostly by fear of losing out and reason is a poor antidote to fear. On Tuesday I came across this picture and whatsapp it to my daughter. It would be very difficult if fear become entrenched in her before she is vaccinated. I am starting to constantly cajole her not to exaggerate danger or risk as she leaves the safety of the MOE school system. The temp job her aunt helped arrange before she matriculate has been a godsend training opportunity. Her immediate boss a Harvard trained scientist told her she is very fortunate to get such exposure at such a young age. 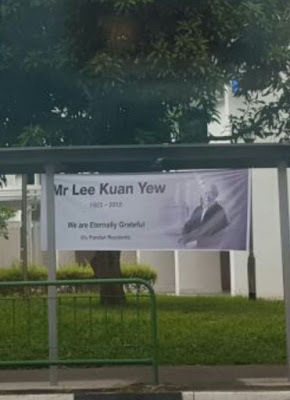 The daughter took this photo with her phone camera from quite faraway on the 23rd, the second anniversary of LKY passing. I passed by today and it is no longer there. Well we visited the exhibition of the founders' memorial twice when we went to enjoy the cherry blossoms at the Flower Dome. It was just beside the dome. 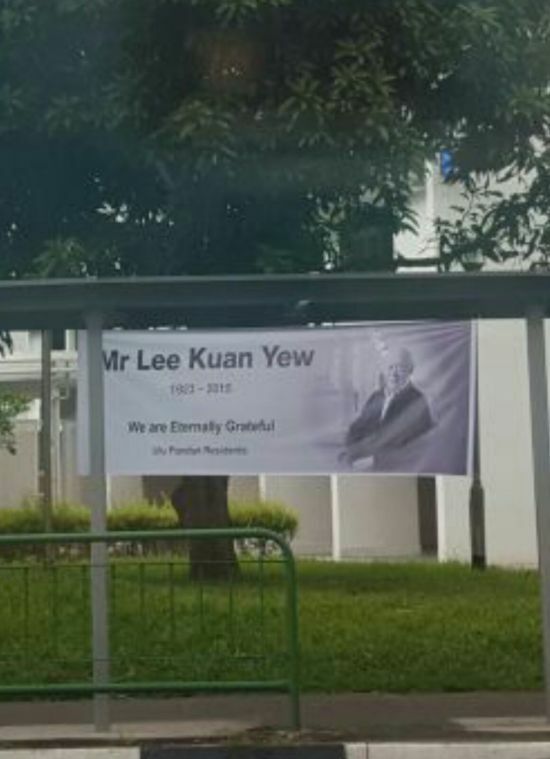 I hope they do a first class job of the memorial which is likely to be located at Gardens by the Bay East. The way to remember what our founding fathers have done for us is to keep this place going well. 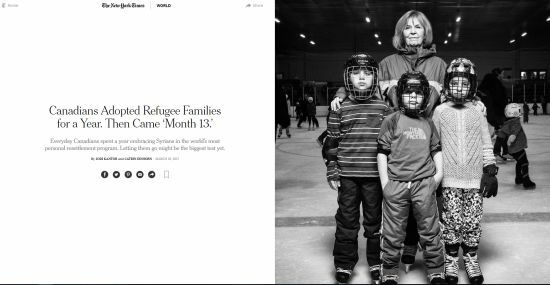 This is the last installment of the stories how Canadian families opened their hearts, wallets and often homes as well to Syrian refugees in a project lasting one year. Truly admirable! And realistic as well. You can't do this at our Flower Dome. I got this from Natgeo. 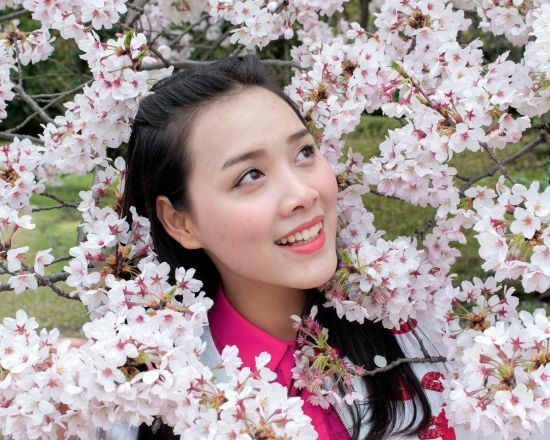 We popped by thrice to enjoy the cherry blossoms this year at GBB but the place to go enjoy this more fully is probably Japan. Unlike most times when I prefer peace and quiet, I think it is great to be in the company of lots of people savouring this together. The guy who supposedly knew how to win did the childish and stupidest thing as a politician. He confused politics with business which is by far a much easier enterprise than government. Democratic politics anywhere but especially in America is about compromise. More important to get what you want you have to acquire and grow your leverage which is the strongest form of political capital. Trump failed to see that he has a lot more to lose than the lawmakers of his own party playing poker with them. This is basic and he didn't know. 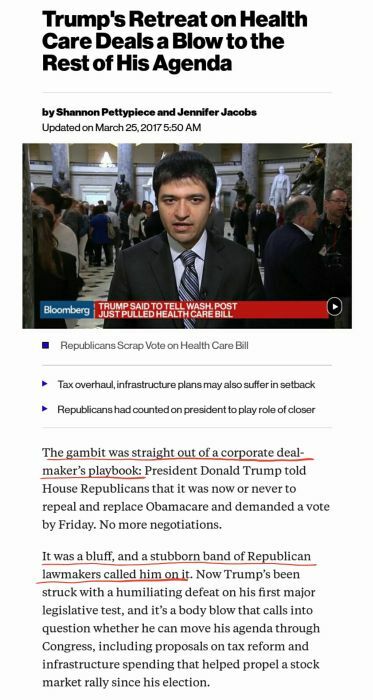 Well he didn't know that healthcare was so complicated. He mostly doesn't know what he is talking about. He will surely go down in US history as the worst president. What has happened with his first legislative initiative will be repeated many times. The simple takeaway is that when push comes to shove, Donald Trump always adapt. This begs the question is can he? There is not route to success with his disunited party. He would have to work with the Democrats, and why would they unless they can get their pound of flesh? 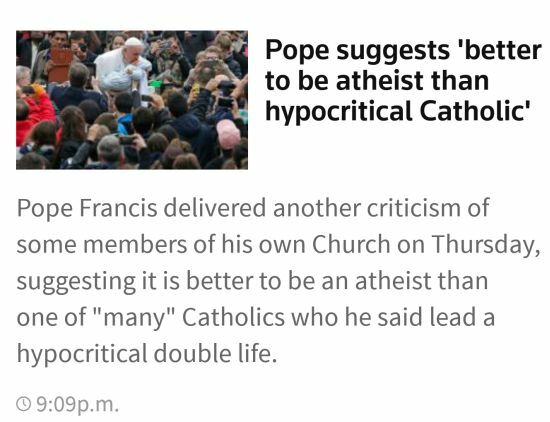 An excellent article by Sarah Posner explaining how the religious right i.e., to be practical most evangelical Christians in America have now been exposed as fake Christians, something which Pope Francis had pointed out more than once at Donald Trump. Link to story at Reuters. 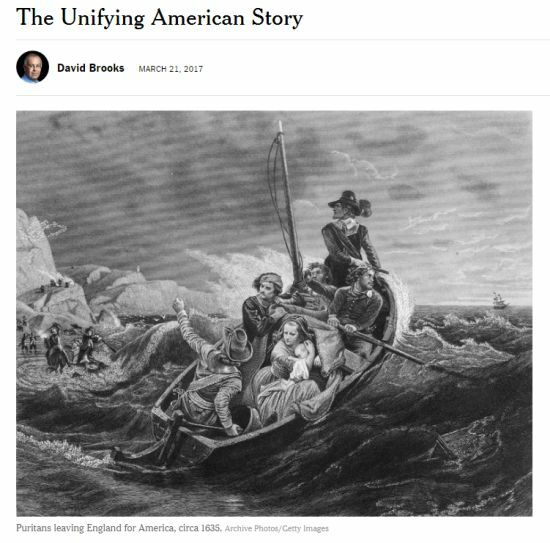 David Brooks reminded his readers that America is an Exodus story. But so is Singapore, Malaysia, Indonesia, India etc., the list is very long. All of them become independent from the refrain, "let my people go!" All happened after the end of the World War II and unacknowledged were following the American template as the US became the global superpower. From time to time we have to revisit our beginnings and grasp why did we choose to become an independent nation. It is because we want to be free to carve our own destiny. In Singapore's case we must always show that being independent is better than being part of a larger nation,which in our case would God forbid be part of either Malaysia or Indonesia. Philippines deserve to be independent and sovereign? Philippines sovereignty count for nought. They deserve to be a vassal of China if that is their attitude. You have to stand your ground and defend your territory and because it might be costly, a serious minded people would have invested in sufficient defence years back. Duterte violence towards suspected drug traffickers has always been a sign of weakness rather than strength and yet he got overwhelming support from Filipinos. They are going to be a cautionary tale for the rest of us for those moments we ever felt like them as enough Americans did and elected Trump. Recently we have tested the limits of democracy. By that I meant we saw the circumstances when democracy produced awful results by electing the wrong people into power. Rutte and his team learned the lessons from the UK and America and succeeded at fending off Wilders. 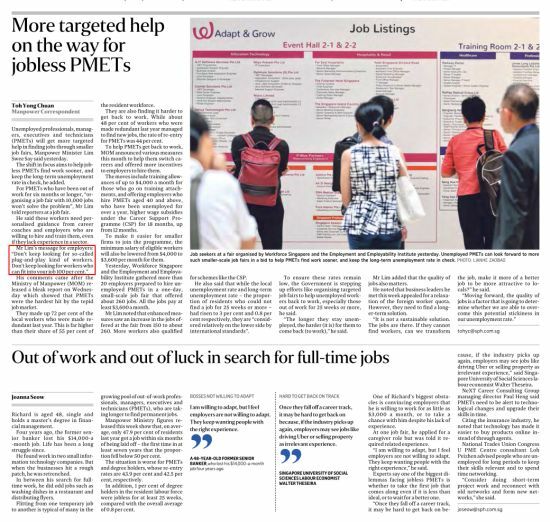 Many of the out of job PMETs I have read or come across are increasingly cynical of the many initiatives the government have introduced to find them jobs. They said it is mostly for show, to inform the public that the government is doing something. To me this is just a very difficult nut to crack and the right thing to do is to keep trying to understand the problem better and more important afterward have the will to solve it. It is best if unemployed PMETs can find their own solutions but after many years of failure we know this is not realistic. If we cannot do much more with the unemployed, it is time to work on the employers. It is good to finally read from Lim Swee Say, and I quote him. "Don't keep looking for Plug-and-Play kind of workers. Don't keep looking for workers that can fit your kind of jobs 100 percent." Imagine if we have not curtailed the import of foreign talent. Spoiled employers will continue to insist on hiring only those who fit the job like a glove from the global market. Meanwhile our own displaced workers do not even get a chance to adapt or retrain. I hope it is not too late for this former banker and others. I do not know what he used to do but I suspect he could be from the back room. A lot of those work have left the country and unless he went with the jobs, his experience is not in demand any more. If only he could take 25 yeas off his 48 years eh? Employers must be educated and perhaps even be threatened with punitive measures to make the necessary transformation. There is too much ageism out there. Businesses seeking their own narrow interests often create negative externalities which fall on society. They are always looking for free or cheap inputs. As they used to pollute our air and water until laws were passed to stop them, we might have to go down that road with labour as well. However this is not easy as businesses can always relocate. 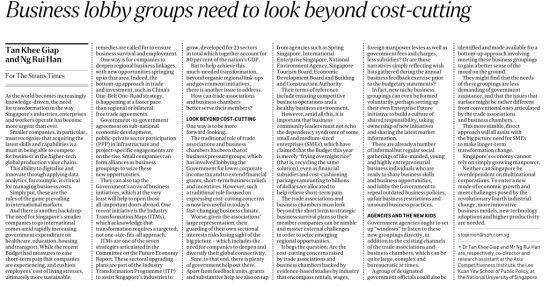 We would have to increase our value proposition to make it sufficient for them to stay and some industries we simply have to let go. Nobody publishable in the media wants to talk about it, but North Korea provides an example of how to defend yourself against a super power. Go nuclear. Taiwan needn't consider that option yet but in the not too distant future military power in many more contexts do not belong to the biggest and most powerful always prevailing. Alternatives to nuclear weapons that do not include biological agents or chemical substances would be developed. The Israelis would probably get there first and Taiwan would be motivated to go down that road as well. No wonder the Chinese are anxious to get Taiwan back. Strategic patience is extremely risky to achieving the return of the island to the mainland. 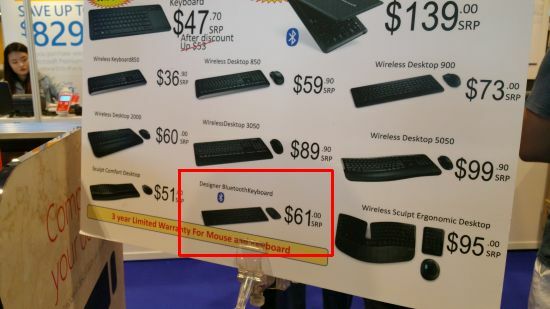 When I asked the sales rep if the Bluetooth keyboard also came with the mouse she said yes. I reminded her they were selling the mouse for $45 standalone for $45. How could this be? But she insisted. I bought the set! Late last year I bought the same thing for my daughter for about $118 after a 20% discount. At $61 they are giving a 56% discount! I must be stupid to say no and now I felt like I ought to have bought several sets. 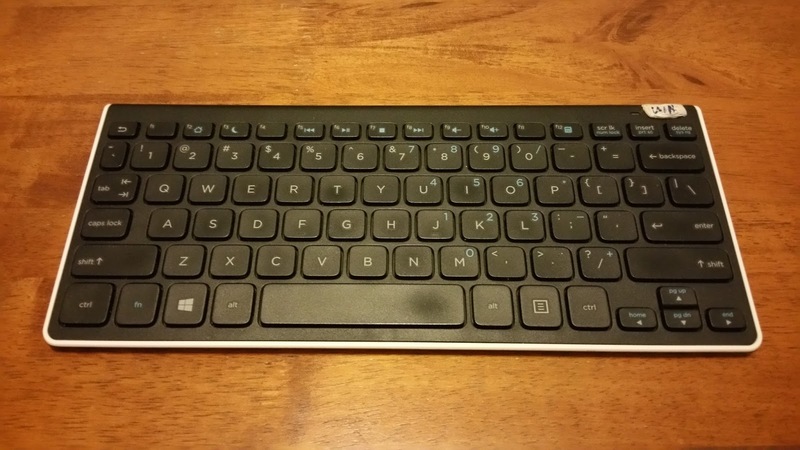 This is a very very good keyboard. Something tells me if I were to visit them again, it wouldn't be $61 any more. 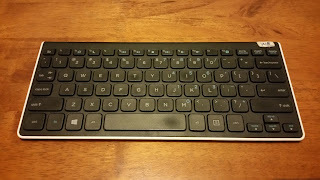 Meanwhile I just damaged another keyboard (HP K400) from simply hard and honest use. The letter D no longer works properly. I have to strike it hard or slowly and firmly for it to register. I have been running through several keyboards and mouse recently. I am definitely working a lot harder these days. It has become much harder to be regular with blogging as well. Just requested replacement from Microsoft of an earlier set of the above. Better leave a copy of the receipt here. Just in case. Local business: Solving a problem maestro Yeo could not. 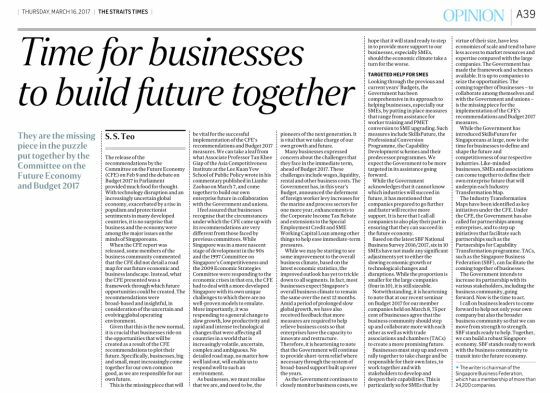 An opinion piece by the chairman of the Singapore Business Federation. Our local businesses are addicted to asking for help all the time. They have had too much leverage as employers for too long. Instead of enabling our future they are hobbling it when they get help to entrench old habits which must eventually lead to sad endings. If weak businesses with no future are not cleared out, new businesses of tomorrow cannot surface. What is stopping us thus far is the fear of rising unemployment if we let Darwinian adapt or die produce the next generation of businesses. So we make workers skills more fluid, adaptable and less dependent on employers as much as possible. It is a slow and painful process which is quite rare in the world. The buzz word is being "future ready" but it can be very meaningful if we are serious minded about it. I saw this the day before. Many SMEs are forced by their small size, lack of critical mass to be fighting fire and chasing sales continuously. If the environment is good they do well and if the trend last long enough perhaps some will grow big and finally take off. It is the in-between that is a problem. They have achieved medium size, hire quite a few workers and struggling to maintain sales and margins. You don't want them to fail but neither could they grow. In aggregate they caused productivity numbers to look bad and their workers also cannot hope to do well over time. 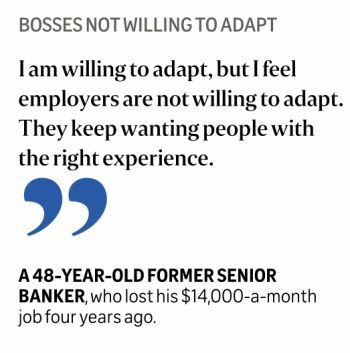 The longer they remain with such firms they less valuable they become and harder to retrain later. 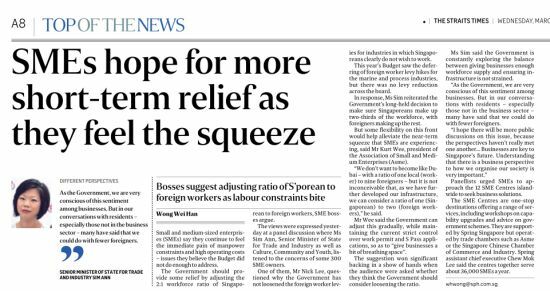 Once we are able to make more workers less dependent on the companies they work for by getting them future ready, we are ready to break the back of this yoke, a problem Philip Yeo could not solve. The good professor hit the nail on its head (ST yesterday). Local businesses here never wanted to change or adapt if they can help it, always asking the government to help them preserve the status quo or else workers lose their jobs. Now I am hearing the same shrill and familiar message from the SMEs club. and I agree with these people comments. Really, how long is this going to last. It is an endless cycle of these SMEs using the tax payer as a crutch. Time we let some of them go to the wall and retrain the people displaced. This is also trying to release their employees from a "poverty trap". 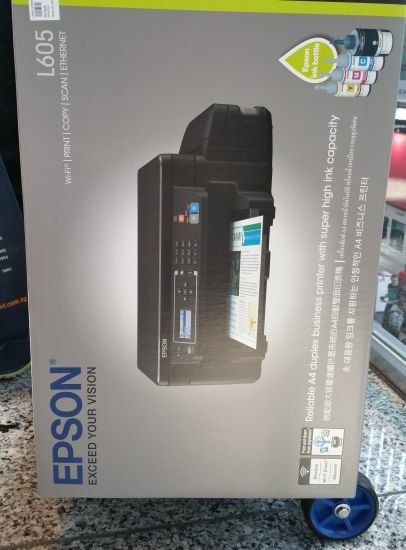 Bought this at the IT show for $409 (saved $40). Our current Epson (Office 900WD) has served us almost five years. The girls especially the one heading to university soon would be printing more freely because of the much lower running cost. I discover in the e-manual that users ought to flush the ink tubes if the printer isn't used for a month or two. What dreadful waste of ink right? Shouldn't buy an ink tank printer unless you print often. If you do not have passion for engineering and most students would not, then they would opt for Data Science aka Big Data work over engineering. That is the new growth area. That is how the daughter is thinking at the moment. She is confident that she would find engineering studies very doable but what do engineers do after they graduate? The more she researched and what she discovered from talking to people at the various universities open houses, the surer she becomes that engineering is not for her. 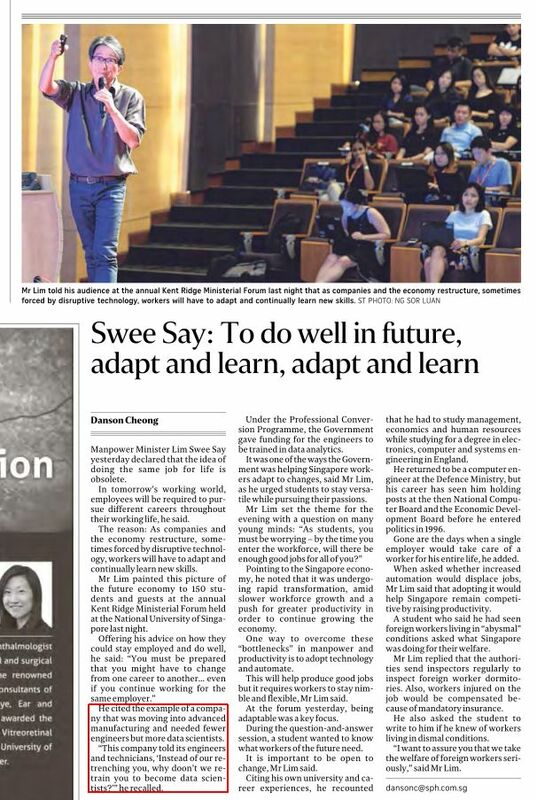 The information she gathered from the media e.g., like this story Lim Swee Say shared as far as she is concerned did not help her to choose in favor of engineering. Many of our high performing students are interested enough in their school work to do well in exams but the usually do not have clear passion in areas leading to obvious university courses and jobs. Most will end up applying to the schools that help them find a good job with good pay and career prospects. For now Data Science would be much more popular than Engineering. This is truly a huge surprise to see Modi's party the BJP won the key state of Uttar Pradesh by such a landslide. You would have thought after the massive disruption he had caused to all India in November when he withdrew 500 and 1,000 rupee notes to fight corruption, voters would punish him. Politicians everywhere except the tiny minority like Modi must be so nervous. Something is happening to voters across the world that they cannot sense or understand. A mysterious new wind is blowing. Dutch PM Rutte shows his nervousness as he campaigned for reelection by leaning against the Muslim minority. This is not what we all understand as the essence of being Dutch. 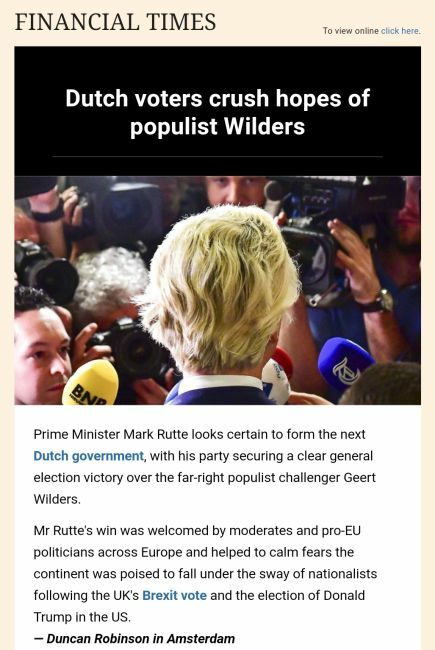 Until almost the last moment we all feared the Nativist side led by Wilders was going to win. Voters and politicians are both learning and rejecting the crazy self defeating extreme right. 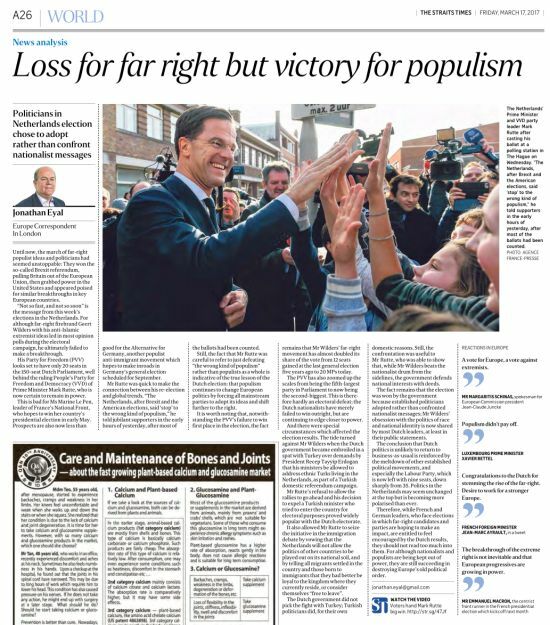 At 81 per cent, turnout was the highest in 30 years in an election that was a test of whether the Dutch wanted to end decades of liberalism and choose a nationalist, nativist path by voting for Wilders and his promise to “de-Islamicise” the Netherlands, quoting from the ST. The British and Americans were complacent. Many did not turn up to vote. The Dutch dispatched themselves far better. This headline put it better. Nativism might have lost but what was before has also ceased to live. It is new populism now. If incumbents take heed of this lesson, they can beat back the exxtreme right parties everywhere. Alas this lesson arrived too late for America and the UK. 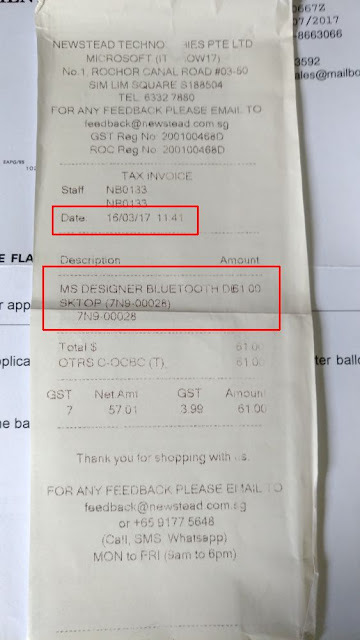 A note to self to remember not to buy anything from this Qoo10 merchant "Dream Maker". I ordered and paid for the product on the 8th. They did nothing and I had to chase them twice about the order and they only responded on my second message. Then today I discovered this is not a domestic delivery but coming from Guangzhou. 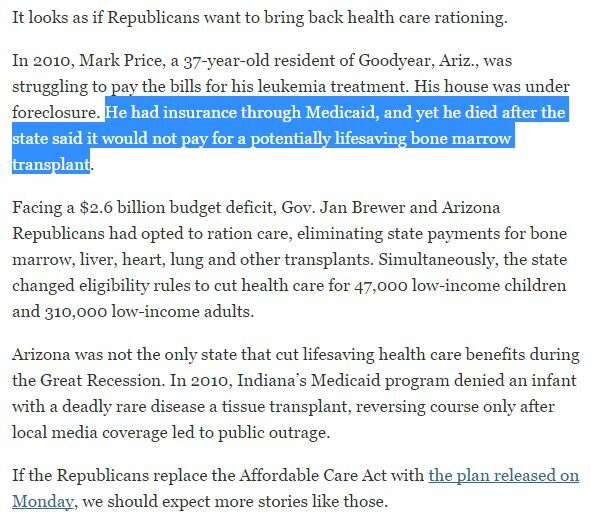 Excerpt from NYT article: How Republicans Plan to Ration Health Care. There are millions of stupid American voters who do not know what is good for them voting for Trump. When will the American experience be exported to other countries, including us as well? The above story from the NYT is what will happen if the Republicans succeeds in repealing Obamacare. What happens in America often have a strange way as a matter of degree to spread around the world. E.g., we use the medical technology and drugs they develop and we also have to pay some of the high prices. Healthcare inflation runs much higher than the CPI. It is only a matter of time what is expensive becomes unaffordable. She is preparing to begin her university education, her elder sister has done the minimum three years and preparing to leave, grateful that she is doing well and have a good job waiting for her later this year. No point going on to the optional the fourth year, it it too ivory tower. I am assuming she is going to the same university. Why not? But trying to decide on which courses to pursue has been an exhausting exercise. We are convinced that doing this rigorously will lead to the best possible decision. 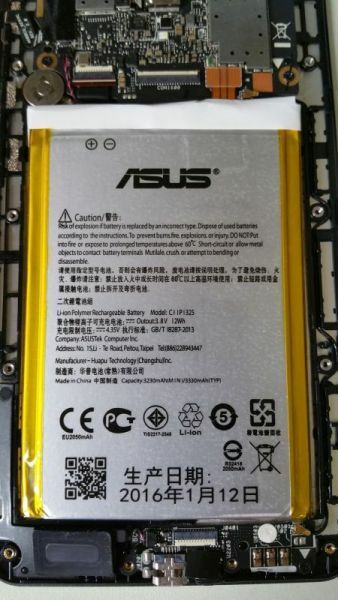 Bought this for about $18 to replace the bloated battery for the Zenfone 6, now my backup phone. 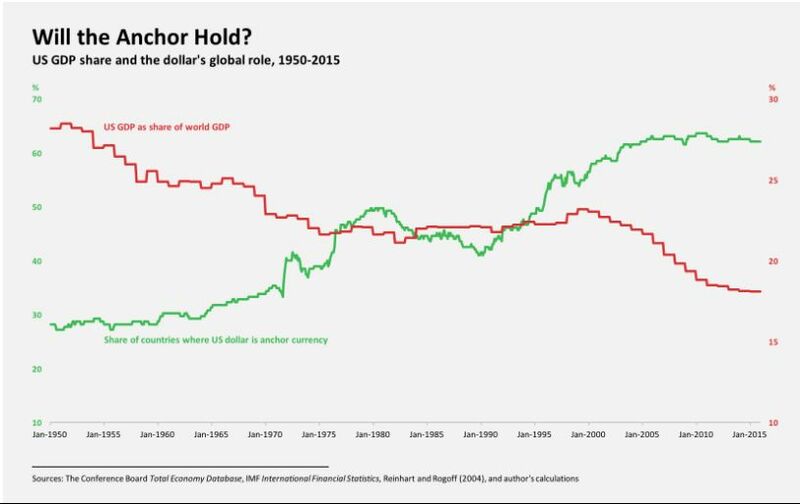 Exiting the turmoil of the World War II (left hand side of chart) the world needed America more than it needed the world. Today it is the other way round. Put it in stark simplicity, the dumb Trump should understand the impact on the US would be much bigger than its ricochet on world if America turn inwards. For a while the US might still have its overwhelming military machine but over time it would be economically unsustainable and that is not even considering how other nations will increase defense spending to fill the holes left by America. 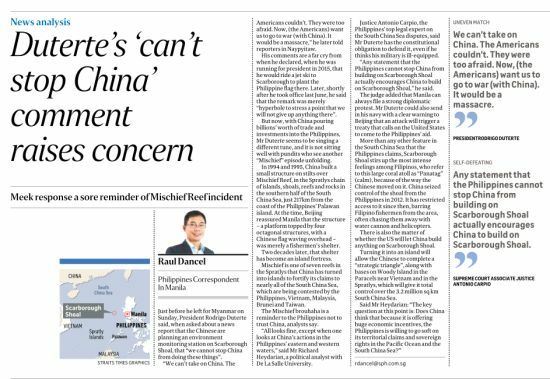 The PM has been shockingly candid to express the view that Singapore may have to choose between the US and China. Here is my take of why he had taken that step. Without saying so and we mustn't, we are trying to help some ignorant fool in the White House understand somethings which he otherwise take for granted. Singapore might be tiny but its is utterly strategic to the USA. This is to help the monkeys in the White House think through the consequences of the policies it is toying with. They are too dumb and ignorant to be able to imagine and work through the consequences of those fear based policies. Try them and America would end up with a lot more to fear. Fear must always be stared down. It was the lesson Franklin Roosevelt taught them which they seem to have forgotten. PM Lee has shown courage. Of course the Americans will not withdraw from Asia but they can over time quite easily be dislodged by the Chinese at China's choosing of time and place. The Americans would ask themselves at those moments what is at stake for them and find that the Chinese are more determined to push them out than they have the reason to stay. If there was the TPP it would be different as there would be a huge economic imperative to do so. During this window, after repeated warnings, Singapore and other Asian states would be watching closely and making calculations. They will choose to go with China simply because it is the giant neighbor and the Chinese would try much harder. You simply cannot get a good enough deal with the Americans at that time. The most unwilling parties would be Japan and Taiwan and that is why Shinzo Abe has been trying so embarrassingly hard at trying to get Trump to come alongside him. It would be a very difficult choice for the Aussies.